Another Ad Just Leaked! Five Below Black Friday Ad Looks Interesting. The Black Friday Ads are starting to pour out. 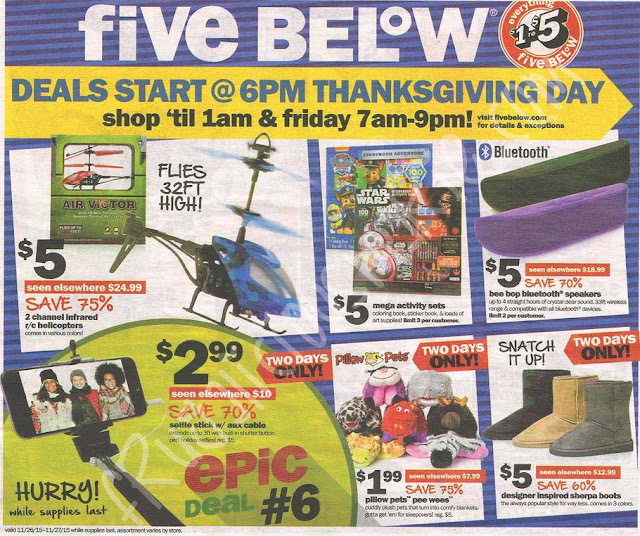 The next ad to leak is the Five Below ad. It doesn't look as good as previous years but they do have 2 or 3 items worth checking out.